Everyone got what they wanted out of this relationship. Then it went south. There comes a time in any breakup, after the tears, ice cream, and division of property, when both parties can reflect on how they got to this place. This, it must be noted, is not a place anyone sets out to reach. But here you are. How? Surely some of it is the other person’s fault. That’s the easy — and satisfying — part. But as the silence sets in, there’s also the dawning realization that at least some things were your fault. That is where American soccer is about to find itself in its breakup with Jurgen Klinsmann. There are good reasons this conscious uncoupling occurred: recent results have been dire; the excuses for those results verged on dadaist performance art; Klinsmann made a habit of condescending to Americans—particularly the nation’s self-serious soccer media; the specter of missing out on World Cup qualification — while dramatically overhyped—was non-negligible; the pressure on USSF executives was getting uncomfortable. It had to come to this. 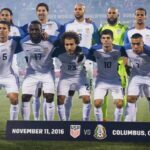 Embedded in many of these reasons for this split, however, are hints of why American soccer and Jurgen Klinsmann initially paired off. Jurgen Klinsmann—the idea if not exactly the man—flattered American soccer’s sense of self. Compared to the austere Bob Bradley and bemused platypus better known as Bruce Arena, Klinsmann brought a cosmopolitan flair to that position. Much of that flair came from his passport, attitude, and impressive playing career—things with no real effect on results—but managerial choices are in part aesthetic decisions. Roman Abramovich, despite the success of the Jose Mourinho era, spent years craving a manager with offensive flair. Manchester City spent the better part of the decade lusting after Pep Guardiola in a manner eerily reminiscent of The Notebook. A partnership can have practical components, but it also serves to change how you understand yourself through the eyes of others. For Jurgen Klinsmann, likewise, the idea of American soccer was enthralling. Here was a team in search of a big thinker and big talker: someone who would present as a resolutely ideological figure. Moreover, the manager who could finally crack the American puzzle would be an icon. [This, incidentally, is why the managership of China is also a somewhat desirable position even though the team is currently unimpressive.] Instead of making the rounds of reasonably talented European clubs and countries, you can see why Klinsmann made a somewhat regressive career move. In New York you can be a new man. 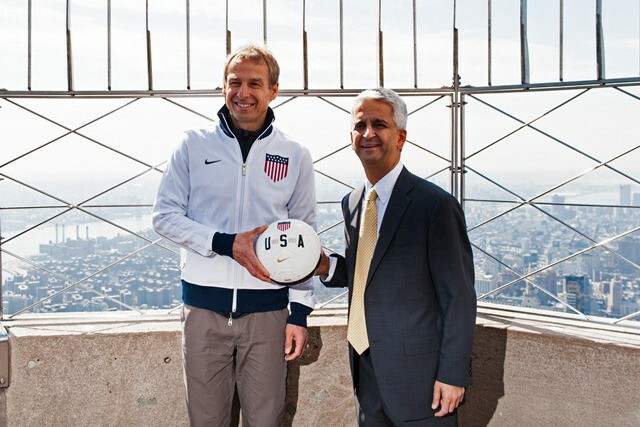 The Jurgen Klinsmann-U.S. Soccer relationship made sense. That is also why it was so bad for so long. There were plenty of problems pre-Klexit, but they were mainly foreseeable consequences of the unholy alliance. Klinsmann’s teams were far from pragmatic against top sides, but he was hired to be an Ideas Man. He fielded players out of position, but you could almost write this off as the creative thinking; if you just wanted a serviceable MLS left back to fill in, you could have brought Bruce Arena back sooner. He talked down to Americans, but the thought that the men’s soccer program could be arrogant was vaguely alluring. With the benefit of hindsight, Jurgen Klinsmann spent the better part of a decade negging Americans, to use the pickup artist’s nom d’art. It’s possible to recognize that this is all annoying in hindsight while understanding why it worked. This dynamic made it hard for criticisms of Klinsmann to be addressed in a forthright manner. What do you say when a manager hired to think about the big picture and talk a big game ends up focusing on the big picture and talking a super-sized game? Firing a manager always involves a tacit admission of guilt. In the case of Klinsmann, however, it also involved conceding that the underlying idea of Klinsmannism was wrongheaded. So, along the way, warning signs were written off as costs of doing business. In a sense, they were. Nobody is perfect; a relationship is in large part a test of what you will tolerate in exchange for someone’s better qualities. A breakup tends to dramatically shift this cost-benefit analysis, but that does not mean we cannot recognize what it once was. A relationship is a shared illusion. So long as it lasts, you see a version of yourself in your partner and they do the same in you. Collectively, you present a version of yourselves. There’s truth to all these versions, but also plenty that is occluded. Giving up on that illusion is hard; going back to Bruce Arena is a bit like moving back into your parents’ basement. That, however, is what has happened this week. 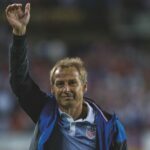 Any discussion of the future of American soccer—its culture, its identity—requires U.S. Soccer and its supporters to recognize what they once saw in Jurgen Klinsmann and what that says about them. Only after that—and a tear-filled Gilmore Girls marathon—can they begin to move forward.